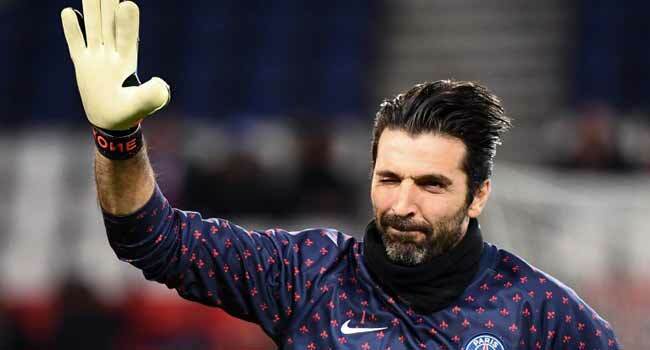 Goalkeeper Gianluigi Buffon said on Saturday that he wants “to stay another season” at Paris Saint-Germain. Runaway Ligue 1 leaders PSG visit third-placed Lyon on Sunday and take on Manchester United in the last 16 of the Champions League on February 12 and March 6. “As to my contract for the next season, we have plenty of time to think about it,” said Buffon, at a press conference he gave with Areola on Saturday. Tuchel had asked for two players to increase his defensive options, but the club only landed one. “Angry, no, no,” the German said. “The winter transfer window is so complicated. Who wants to lose a player? “If you need to do a lot of deals in the winter, you will probably be disappointed,” Tuchel added. At Christmas, he asked for “a second (Marco) Verratti and a second Marquinhos” but PSG only bought Argentine midfielder Leandro Paredes for an estimated 47 million euros ($54m) from Zenit Saint Petersburg, while Everton turned down PSG bids for Idrissa Gueye. PSG have lost Neymar with injury until early April and midfielder Adrien Rabiot remains at the club after the transfer window but has expressed his desire to leave. Tuchel denied reports that his relationship with sporting director Antero Henrique had deteriorated.